Landscape is becoming more prominent in planning and design practices of the contemporary city. A centrality, that of landscape, mainly explicable by the necessity to reply to the acceleration of globalization phenomena that invest the whole territory and determine a specific “landscape request”, that in most cases still remains without answer. This chapter shows the main reflection of the book: how we can consider today the landscape within a urban planning that demonstrates considerable weaknesses in the ability to deal with new city transformations? A difficulty, however, that cannot be attributed to a lack of dynamism, as we are in the presence of a multitude of instruments and planning tools, perhaps too many, however, who have tried to solve high-profile problems. 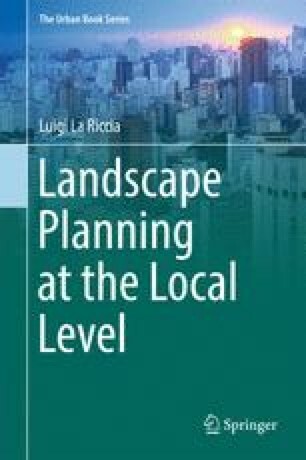 The main idea of the work is to conduct a thorough reflection on the overcoming of the unsolved problems of the relationship between landscape and local planning, through the reading of some Italian and European best practices, and to provide possible theoretical and operational guidelines for urban planning.